I’m particular when it comes to buying gear, especially luggage. 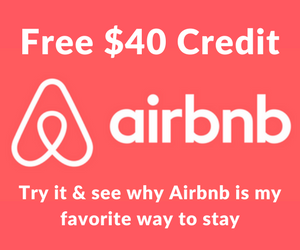 I’d rather spend a little extra and buy a piece of luggage that will last and not break at the most inopportune moment on a trip. 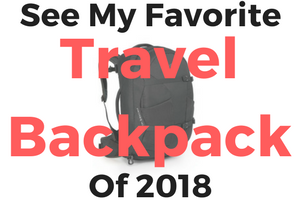 With that in mind there are several bags that I have found work perfectly for almost all travel occasions–from work travel to backpacking through Latin America. These are my go-to bags for all of my travels and the reasons why I love them. 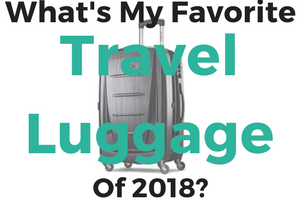 For more structured travel, when I know I won’t have to lug my bag across town, the Tumi Alpha International 20″ Carry On is my luggage of choice. Last year I decided to get a more standard piece of luggage and after reading great reviews on Tumi luggage I settled on the 20” carry on. The bag is almost the perfect size and packs a big punch for only being 20”. It’s also nice to know that the bag will be always be allowed as a carry on vs. the larger Tumi Alpha Frequent Traveler 22″ Carry On. Both of these bags have since been replaced with Tumi’s new Alpha 2 lineup. The bag does have a hefty price tag of $595, but the saying goes you get what you pay for. 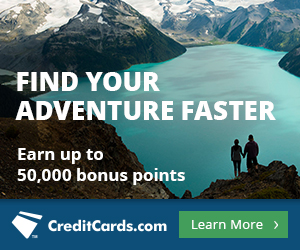 And what do you pay for with the Tumi Alpha International 20″ Carry On? A very tried and true piece of luggage that has been refined into a reliable and functional bag. Like you’d expect at that price, it’s built with quality components and built to last. After using the bag for over year, I’ll say I haven’t found many (if any) drawbacks about the bag. The only thing that comes to mind is that being a taller person (6’ 3”) the handle could be longer. Of course this won’t be an issue for everyone, but tall people be aware. On a side note, the bag is also quite water resistant and did not absorb any water after I found myself walking ten blocks in a light rain. This is my go-to bag for any type of travel that I will be both walking a fair amount with my luggage, but also want something bomb-proof that doesnt stick out. Yes, bomb-proof. 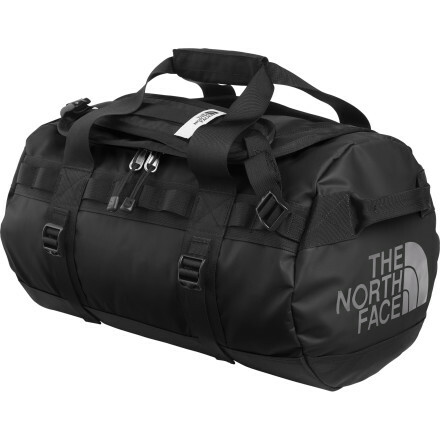 The black version of The North Face Base Camp Duffel is sleek enough to slide into the first class cabin, but is also built to last through any backcountry excursion. The medium version of the bag is small enough to carry-on to most airlines, and I have yet to have a problem even when it’s fully-packed it may be slightly over the size requirement. However, the soft material can easily be folded to fit into small spots. It’s bomb-proof. Made from heavy-duty fabric (basically the stuff they use on white water rafts) it will last forever. It’s not waterproof, but it can definitely take a fair amount of rain without getting the goods inside wet. I wouldn’t think twice about throwing it in the back of a truck or on top of a bus. The bag features alpine-cut shoulder straps that make for easy lugging over long distances. With one large compartment you won’t have tons of options for organization, but you can easily throw all your gear into the bag for a quick departure. It does have a mesh pocket to hold smaller items. The compression straps also allows you to make your bag manageable when you’re hauling a lot of stuff. 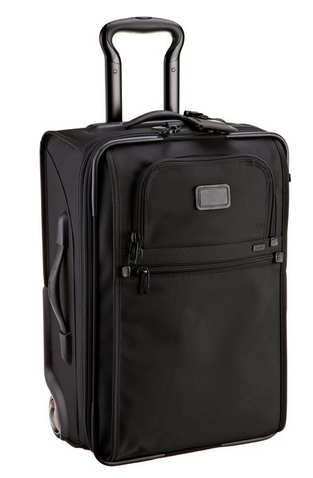 There are 5 sizes of the bag, and the small is within all carry-on requirements. The medium size bag is slightly over if fully stuff, but I’ve never had to check it. The medium sized bag runs $135, so it won’t break the bank and will last forever. I’ve backpacked almost the entire length of South America and much of Europe with my Osprey Packs Atmos 50 backpack. It’s the perfect size, is light-weight, and has a great mix of storage compartments for various uses. For me the 50 liter size is just about perfect for long term backpacking and I can fit all of my essentials though without having too much room to acquire things along the way. One the other hand, it’s likely not big enough for extended overnight solo backpacking trips. As a backpacker traveling overland for several months at a time you’ll know that you will walk a lot—especially if you tend to use public transit. This means the lighter and more comfortable the pack, the better. The mesh AirSpeed suspension makes the pack not only light but way more comfortable in hot weather. You basically have this gap of air between the pack and your back. 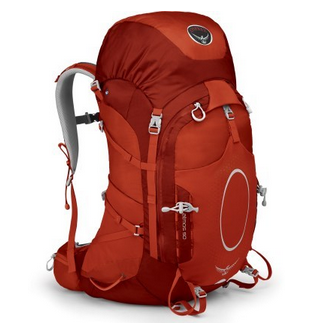 The pack is a perfect mix of between ultra-light and ultra-durable. It weighs 3lbs 4oz, which puts it on the lighter end of packs. But don’t let the weight fool you, I’ve never had anything break on the pack after throwing it around more than 20 countries. Osprey also has one of the best warranties, and if anything ever breaks on the pack they will fix or replace it for free. Fred, I’ve never used an American Tourister bag, but I’ll have to check them out. They are about 1/6th the cost on ebags.com right now!